Munster and Ireland talisman Paul O’Connell was forced to leave the pitch early in the second half of the Magners League game against Leinster on Saturday night with an ankle injury. The second-row was assisted off the pitch, obviously in considerable pain, and the province confirmed that he was taken straight to Limerick Regional Hospital for x-rays. Those x-rays revealed he suffered no fracture, but further examination at the Sports Injury Clinic revealed some ligament damage. The full extent of the damage is not yet known, and O’Connell will need to be reassessed in 10 days time to confirm how long he will be out of the game. 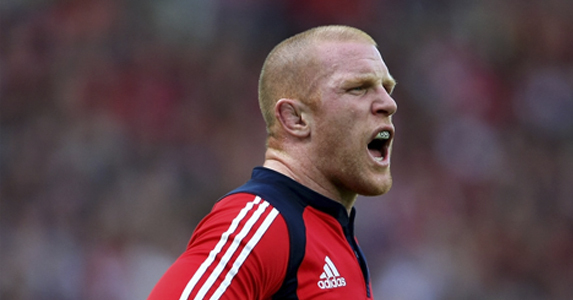 Munster have refused to speculate on the length of his rehab.